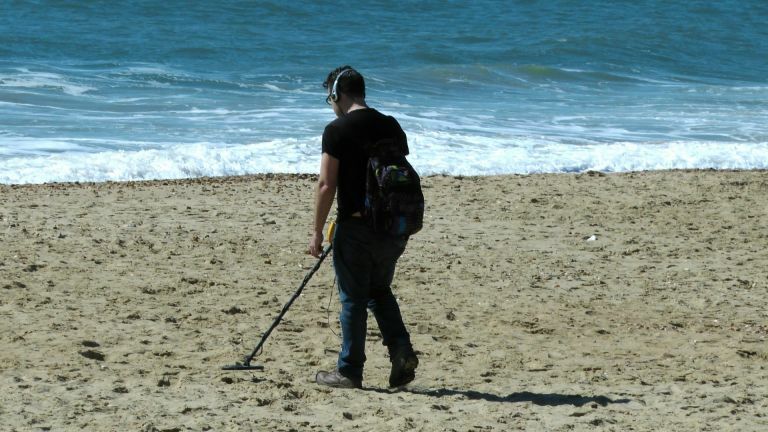 If you can get over the strange looks and unusually high ratio of disappointment to success, metal detecting is a very fine hobby indeed: it gets you outdoors and active, it’s great for history buffs, and there’s always the chance you might stumble across an Anglo Saxon hoard and find yourself diving into a pile of gold coins like Scrooge McDuck. But to be the best metal detector, you need to buy the best metal detector, and even that’s less straightforward than it sounds. Of course, the best metal detectors aren’t the ones that are inherently better at finding massive veins of gold, but rather the ones that are best suited to your needs. If you’re going to be doing most of your detecting down at the beach, consider one adept at dealing with sand and sea, like the Garrett Sea Hunter MKII; if you’re going to encounter lots of different soil types, give the Bounty Hunter Tracker IV Metal Detector a whirl. Oh, and we might have spoken too soon, it turns out there is one that’s best at detecting gold. Whatever kind of detectorising you’ve got in the pipeline, don’t leave home without a glance at our top picks. If you’re not sure yet how much use you’re going to get out of your detector, you probably don’t want to spend a fortune. Our best value metal detector comes from Garrett Ace in the form of the 250, which users commended for how easy it was to assemble and use from the included instructions, with some saying they were set up and on their way out within 20 minutes. They also loved how sensitive it was, especially for such a budget-friendly model, making for great all-round value. Ever wanted to channel the spirit of a crazy old prospector without the faff of panning for gold? You’re in luck. The Fisher Gold Bug Pro 5 comes highly recommended by amateur detectorists for its ability to find the smallest gold nuggets; its user-friendly interface, which provides continuous ground readouts, tells you what type of mineral it’s found, and even measures the amounts of certain minerals; and its lightweight body, which means you won’t get tired out so quickly. If you’ve got your sights set on more than old bits of artillery, and you’ve got the money, give this a try. While some lesser detectors will make attempts at filtering through the crud to only bring you the best results, these can often be about as much use as the Microsoft Office paperclip. The Garrett Sea Hunter is all the more impressive with this in mind, with its cutting-edge discrimination feature, the patented Discrete Trash Elimination mode. This means it won’t go off in the presence of pull tabs, but can differentiate between rubbish and small valuables giving off a similar frequency, so you won’t miss out on any good finds because your detector was trying to “help”. Oh, and it works in freshwater and saltwater too – nifty! No, you’re not seeing things, it’s another Garrett Ace! While this version might not be as cost-effective as the previously mentioned 250, it is the newer, sexier brother, meaning it comes equipped with a few more elements to make it attractive to beginners. The simple design is back, as is the sturdy build and comparative lack of weight, but the important bit is the new digital target ID offering a range from 0 to 99, which gives you a much more accurate indication of your target than its predecessors have been able to, and one comparable to detectors costing double. One of our least expensive detectors, the Bounty Hunter Tracker IV is a great budget option for beginners or younger users. It doesn’t have an awful lot of settings, which you’d expect, but this flattens out the learning curve somewhat, upping the accessibility for first-time detectorists. So long as they’re long-limbed enough to handle it, it’s also a good kids’ option thanks to its low weight (under three pounds) and small price tag, so if you or they don’t carry on with your newfound hobby, it’s not a huge disaster. In contrast to our previous pick, the Tesoro Compadre is one for dedicated detectorists looking to either upgrade their kit, or go straight in near the top. Expert users deemed it high performance, high quality and simple, but found that it still managed to pack in some sophisticated features befitting of proper hobbyists. It doesn’t have a screen, which might surprise – or put off – some, but the one-knob operation eliminates guesswork and the quick recovery time means you won’t miss a beat, or a find. The name says it all with this one. Well, not quite all, but as the Seben Deep Target’s big seller is its high search depth, it’s at least very apt. With a theoretical tracing depth of two metres, its detection prowess when it comes to actual buried treasure is unbeatable, especially for sub-£100, and it’s also been commended for its fully automatic operation – just switch on and go. For especially cagey searchers, there’s also incognito mode, which keeps you invisible at night, ideal if you don’t want to shout about your finds.